The Dutch-German Ensemble S takes music all over Europe in its own circus tent. Percussionists Arnold Marinissen, Stephan Meier and Peppie Wiersma present programmes beyond the capacities of a concert hall. 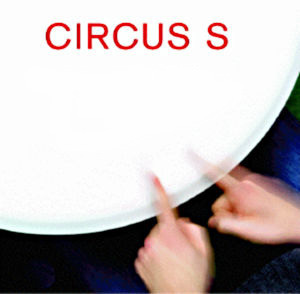 Around, above and in the midst of the audience, CIRCUS S creates space to see, feel, listen, question and marvel. The circus ring is the eardrum, the big top roof the inner ear. Massimo Mariani of the Milan studio MM&T (Musica, Musicisti e Tecnologie) directs the complementary electronic soundscape. Initiated by Ensemble S / Arnold Marinissen, Stephan Meier and Peppie Wiersma (Amsterdam), with Musik für heute e.V. (Hannover) and Studio MM&T (Milan). CIRCUS S gratefully acknowledges the support of the European Commission's Culture 2000 programme and: STIFTUNG NIEDERSACHSEN; Société Gavigniès; Landeshauptstadt Hannover (Referat für Regionale und Europaangelegenheiten); Festwochen Herrenhausen; Comune di Milano; Zomer in Utrecht; Maria Strecker-Daelen Stiftung.